China’s Ministry of Public Security announced on Tuesday a new practice to make it easier for some mainland citizens to apply for exit-entry permits to visit Hong Kong, Macau or Taiwan, including permits for individual visits by independent travellers. Casino industry investors pay attention to trends and developments in the administration of China’s Individual Visit Scheme (IVS) visa system because the spending power of IVS visitors is thought generally to be higher than that of mainland Chinese visitors arriving on package tours. They are also thought to spend more at casino tables and slots in Macau. In February the number of mainland Chinese travelling to Macau under the IVS system fell 11.5 percent year-on-year, according to data from the city’s Statistics and Census Service. The decline came despite the period coinciding with the Lunar New Year holiday. The new system announced on Tuesday enables some among China’s millions of internal migrants – that do not have a household registration document (or “hukou” in Mandarin Chinese) in the city where they currently reside or work – to apply for an IVS permit via that host city. That means they do not have to travel perhaps hundreds or tens of hundreds of kilometres to apply in person in their home area. The ministry announced the change on its official website and said it would take effect from Friday. A condition of the new system is that the applicant already holds another document – known as a residence permit – for their place of current abode. As a result, not all domestic migrants living in the 49 Chinese cities registered for the IVS system will be able to take advantage of the relaxed application system. It will only be available in cities above county level that issue residence permits to domestic migrant workers, the ministry said. The ‘hukou-free’ application rules do not apply to other types of outbound visa application such as Shenzhen residents seeking multiple-entry IVS permits to go to Hong Kong; or to any mainland China resident applying for permanent residency in Taiwan. With the new IVS application arrangement, travel permits for visiting Hong Kong, Macau or Taiwan can be issued within 30 days following the application, the ministry said. It did not clarify if that was an improvement on previous waiting times for IVS permits. 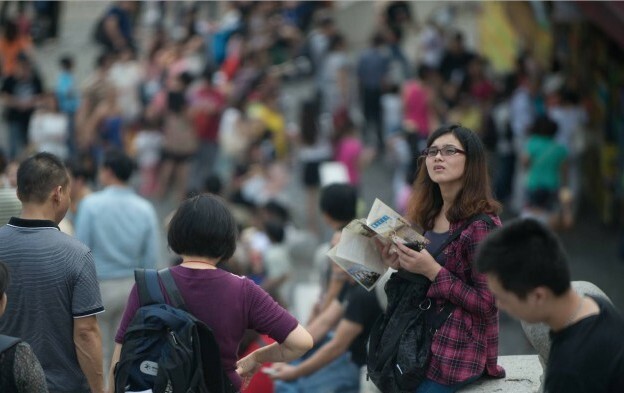 The new measure is part of the Chinese government’s aim to enable migrant Chinese to enjoy the same rights in the cities where they happen to live as those people with a hukou registration for that place, the ministry stated in its online announcement. China’s State Council had noted on March 15 that it would assess how to “optimise and adjust” the IVS system for mainland Chinese visitors travelling to Hong Kong and Macau, as part of Beijing’s support for the regional economy of the Pearl River Delta. While the central government has not announced any details of how the IVS policy will be optimised, Macau Chief Executive Fernando Chui Sai On said on Tuesday that the local government is not currently seeking an increase in visitor arrivals from mainland nor “actively requesting” the expansion of the IVS policy, due to the consideration on Macau’s tourist capacity.